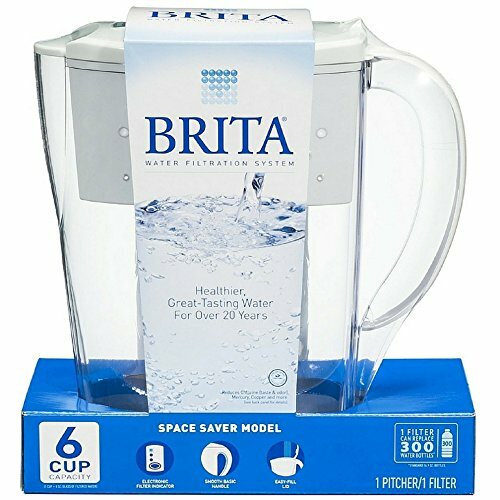 Enjoy healthier, great-tasting water for pennies per gallon with this BritaÂ® Space Saver Water Filter Pitcher in a refreshing white shade. This home water filter system helps reduce zinc, chlorine taste and odor, copper, mercury and cadmium, often found in tap water. For optimal performance, the electronic indicator helps you know when to replace the advanced filter, which can be changed quickly and leaves no black flecks in your water.